The UCS study is based on an analysis of 52 National Oceanic and Atmospheric Administration (NOAA) tide gauges in communities stretching from Portland, Maine to Freeport, Texas, using moderate sea level rise projections. 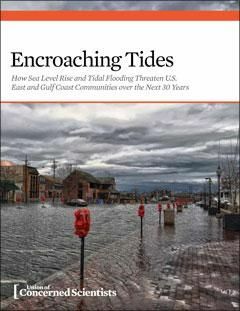 The analysis reveals that in the next 15 years, most of the towns analyzed could see a tripling in the number of high-tide floods each year and in 30 years a ten-fold increase compared to historic levels. Researchers say the increases in flooding are so pervasive that Atlantic Coast communities not covered by the analysis may need to brace for similar changes.